To obtain this Side Quest, you need to have finished the Main Quest The Hero’s Sword. By finishing this Side quest, you will obtain Big Hearty Truffles x3. To begin the Quest, look for Chio inside the Korok Forest, it is close to the entrance which directs to the local shops. He will ask you to partake of Three Trials namely: The Lost Pilgrimage, Trial of Second Sight, and finally The Test of Wood. Bear in mind that these happen to be Shrine Quests. Please refer to the summarized Main articles for an elaborate walkthrough of the following. Interact with Tasho at the Northwest end of Korok Forest to initiate this Trial. This Trial tests your sneaking ability in following the tiny Korok Oaki without blowing your cover. The second Trial is situated on the forest’s Southwestern Exit. Converse with Zooki to challenge the Trial which evaluates your proficiency in navigation through an environment enveloped by a dense fog. As for the last Trial, it takes place at the Eastern Exit of the Forest. Talk to Damia to undergo the trial. Prove your worth by safely reaching for the Shrine at the far end without breaking any of the equipment given to you. I have finished all three trials but Chio thinks I still haven’t done them!!! I have the orbs to prove it! Advice? Plz do the scavenger hunt thing k???????????????????????????? if you cant find one of these you should go to adventure log then go to the side quest marked “the korok trials” press A and it will mark the three locations to start the trials. How do you beat the ultimate challenge on top of the deku tree? 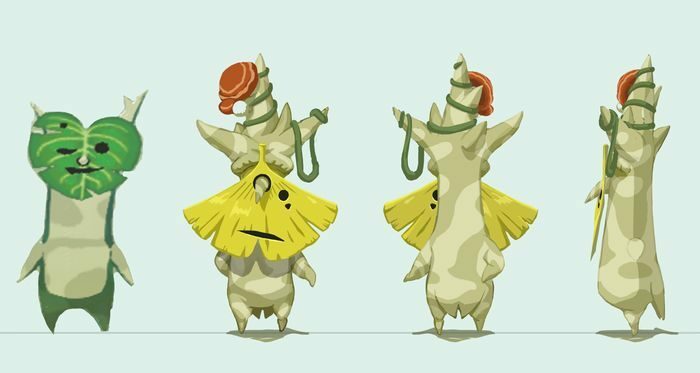 I believe the Korok wants a hoof from a Lynel for the final request.